The hardest thing about dressing in summer is looking chic and elegant without overheating. When its hot, it is really tempting to throw on a pair of denim shorts and a crop top but now I'm nearly 20 (cry) I want to look more put together. I want to wear ensembles that are more appropriate for lunch and cocktails than the beach. So with the help of my best friend Pinterest (have you followed me yet?) 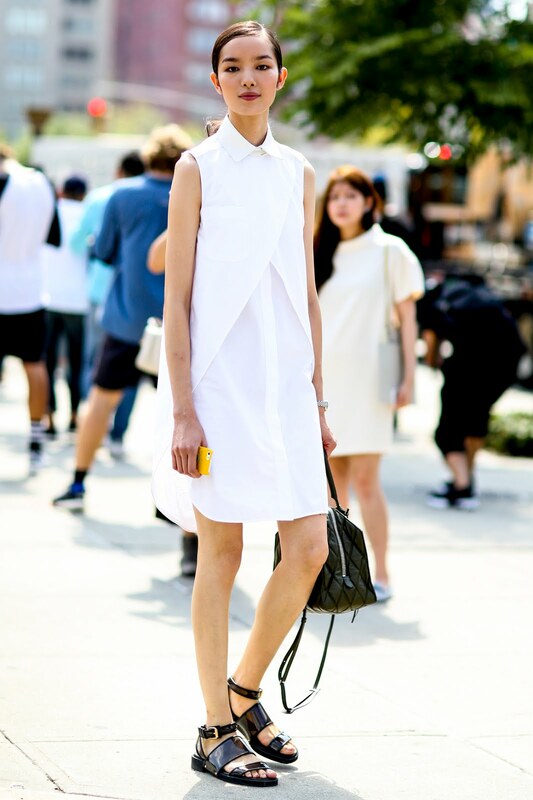 I've put together a board on Summer street style, and I've selected my favourite looks above. How do you look chic in the heat? Let me know down below! I've just pinched a few of these for my pintrest, great looks.